Under the cutis is the thick subcutis. The fatty (adipose) tissue of the subcutis provides a cushion to absorb shock during locomotion. 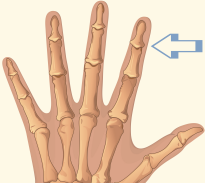 Hinge joints between the intermediate and the distal phalanges. 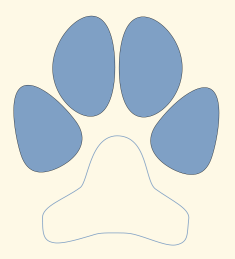 Some digitigrade animals, including dogs and cats, have dewclaws located on the medial (inner) side of the foot, (usually) too high up to make contact with the ground or register in a track. Limb pads located under the distal interphalangeal joint of each digit (toe). 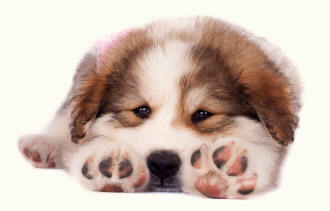 Each toe of a cat or dog, including the dew claw (if present), usually has a corresponding pad. Also known as digital pads and toe pads.